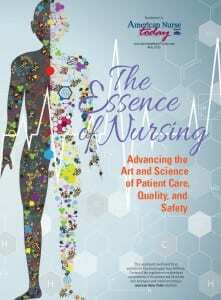 Throughout the year, American Nurse Today publishes special reports of particular interest to nurses. 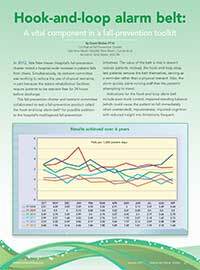 Below are reports on needlestick injuries, fall prevention, advanced nursing education, and more. 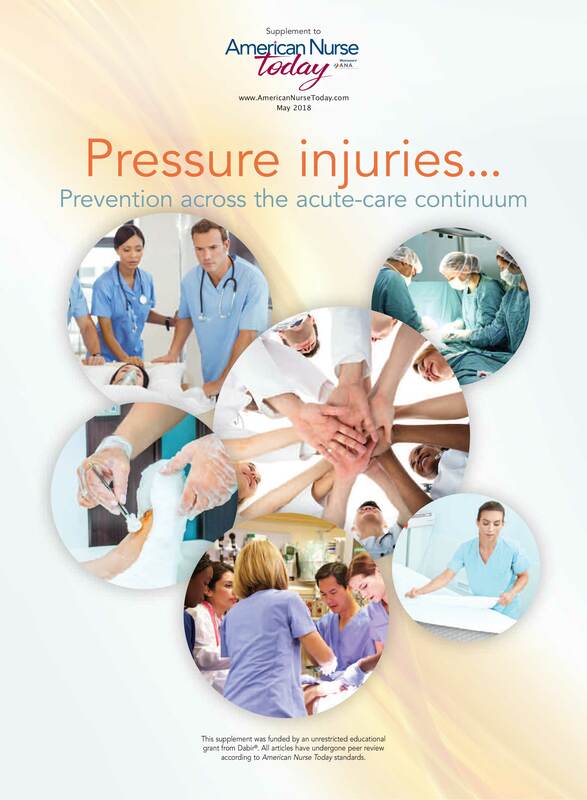 Throughout acute care—from the emergency department to the operating room and the critical-care unit—protecting patients’ skin from pressure injuries (PIs) can sometimes be low on the priority list when faced with immediate life-threatening situations. However, PIs can become life-threatening and most are avoidable when excellent assessment, physical care, multidisciplinary teamwork, and technology are used to ensure adequate perfusion. 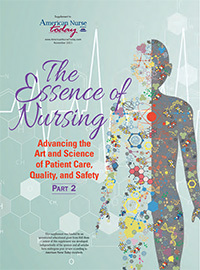 In this special supplement to American Nurse Today, you’ll find best practices related to specific acute-care environments and insight into clinical solutions such as support surfaces, technology, and collaborative care. 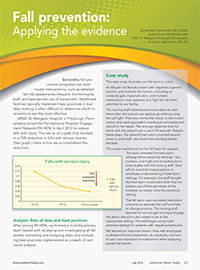 You’ll also want to read the case studies from nurses who have developed and implemented PI prevention strategies in their acute-care settings. Share this information with your colleagues to ensure effective and sustainable PI prevention in your organization. This resource was developed through a unrestricted educational grant from Dabir. Click here to download a PDF. Click here to access digital publication. Tips for how to differentiate and goals for protection and management. Identify how wounds are classified according to wound depth and etiology. 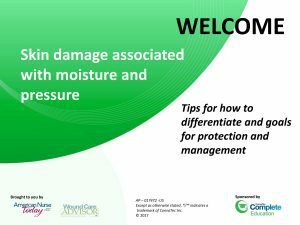 Describe the etiology of a pressure injury (PI) and incontinence-associated skin damage (IAD). 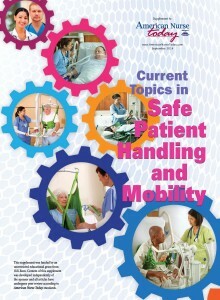 Discuss evidence-based protocols of care of prevention and management if IAD and PIs. Describe the NPUAP-EPUAP Pressure Injury Classification System. 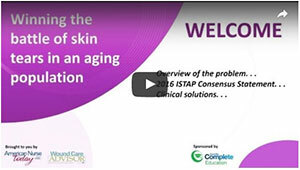 Identify appropriate products that can be used for preventioin and treatment of IAD and PIs. 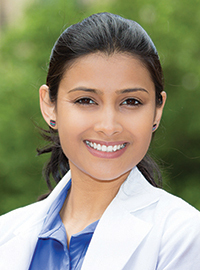 Are you thinking about pursuing additional education to advance your career? Have you been investigating the possibility of becoming and advanced practice nurse or nursing educator? There are lots of reasons to continue your education and lots of questions that need answers before you take the next step. 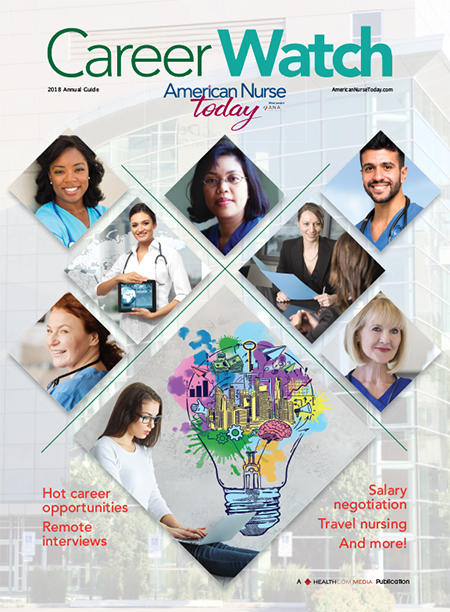 The American Nurse Today Nursing Education newsletter brings you the information you need to make the right move for you and your career. Why should you continue your education? 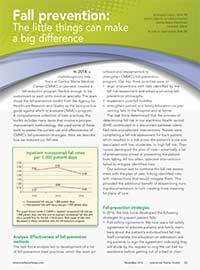 This supplement was funded by an unrestricted educational grant from Hill-Rom. 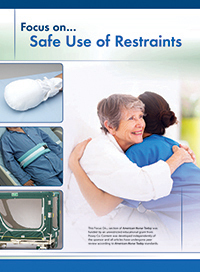 Content of this supplement was developed independently of the sponsor and all articles have undergone peer review according to American Nurse Today standards. Click here to read more. . .
Click here to read. 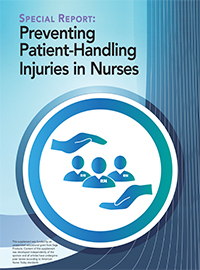 . .
To avoid injuring their patients and themselves, healthcare providers must get in the habit of using safe patient handling and mobility (SPHM) technology. 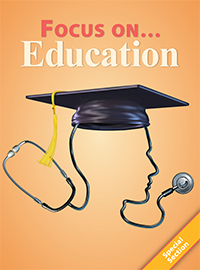 In this supplement, national experts share their perspectives and best practices on topics ranging from dealing with bariatric patients, managing slings, and assessing a patient’s mobility to transforming the culture, building the business case for an SPHM, and developing a successful SPHM program. Click here to read more. . . This special report is sponsored by Cerner Corporation and the Healthcare Information and Management Systems Society (HIMSS). 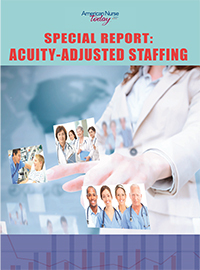 All articles contained in this special report have undergone peer review according to American Nurse Today standards. Click here to read more. . .
As shiftworkers, nurses are at risk for shiftwork sleep disorder (SWSD), which can cause physiologic and psychological distress and lead to various errors. 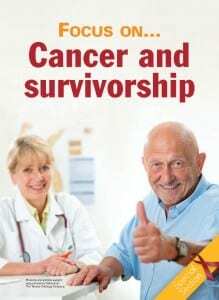 Nurses also are well positioned to identify SWSD in patients. American Nurse Today, the American Nurses Association, and the American Nurses Foundation, in collaboration with CORE Medical Education, LLC, developed a web-based continuing nursing education (CNE) program on SWSD for nurses, with an unrestricted educational grant from Teva Pharmaceuticals. As part of this initiative, nurses were asked to complete a survey before and after participating in the CNE program to determine what they had learned. 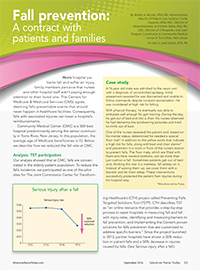 This report discusses SWSD and survey results and includes the article “Tips for achieving healthy sleep.” Click here to read more. . . The recent Consensus Statement and Call to Action emphasizes the need for all of us to recommit to making sharps safety a priority. 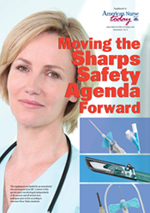 This special report reprints this key document, examines ways to improve sharps safety in surgical settings and nonhospital settings, outlines the key elements of a sharps injury prevention program, and provides resources for selecting sharps safety devices. Click here to read more. . . Editor-in-Chief Our Editor-in-Chief introduces the topic of nurses’ risk of exposure to pathogens in patients’ blood and body fluids. Click here to read more. 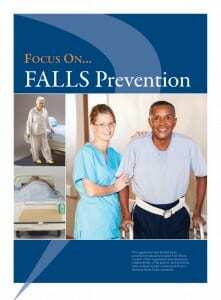 . .
Know the risk factors, risk-reduction strategies, and actions to take after injury. Click here to read more. . .
ANA President Daley tells why she feels passionate about protecting healthcare workers from exposure to bloodborne diseases. Click here to read more. 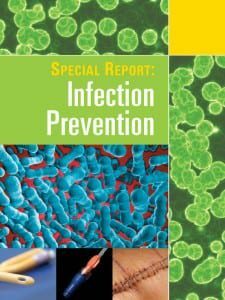 . .
After you’ve read this special report, you might want to obtain additional information about bloodborne infections by accessing the online resources below. Click here to read more. . .